Halloween is an event that kids look forward to, and it provides so many opportunities to liven up your class and either teach new structures or review anything they have learned so far. Here’s an ESL Halloween quiz for children (and adults!) to see how much they know about the popular holiday. 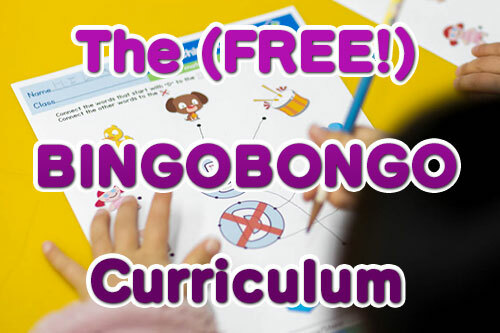 You can also learn some fun Halloween words in the BINGOBONGO song “Happy Halloween“. Scroll down to see our fun music video too! 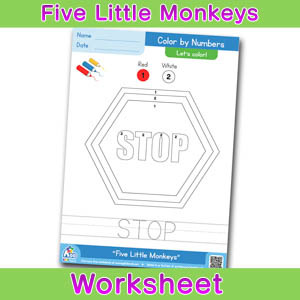 Download the Quiz as a Free, Printable Worksheet! As well as this worksheet, we have even more materials that can make planning a fun Halloween class a breeze! 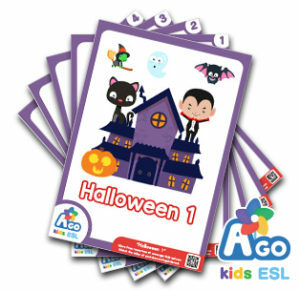 We have free Halloween flashcards introducing 11 common Halloween words! Each flashcard has cute illustrations that kids will love. We have a set of flashcards AND a music video for our song “How Many Witches?” Perfect for teaching numbers with a Halloween theme!